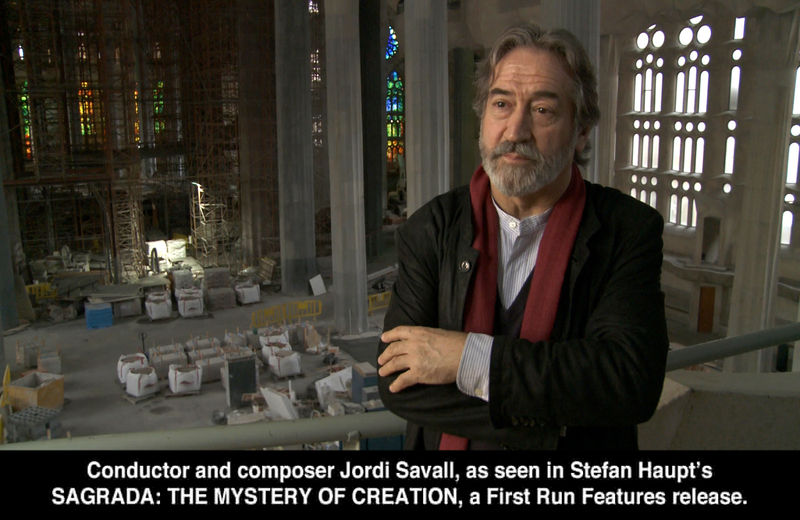 Sagrada: The Mystery of Creation a documentary by Stefan Haupt is a historical insight into the most prominent symbols of Barcelona, the Sagrada Familia. The documentary brings to the screen the idea, the concept, the dream and the living creation of Catalonia’s most famous artist Gaudi! Antonia Gaudi conceptualized what was to be one of the greatest and longest construction projects Barcelona had ever seen. In the late 19th century, the master of Catalan Modernist architecture began work on his most ambitious building. Deeply religious and driven by his connection with his surroundings, he started work to bring to life this creation which was inspired by two ideas that most influenced him: nature and religion. While Gaudi didn’t live to see his work completed, artists after him have continued to work on this landmark building over the last century. The documentary creates an interesting dialogue between the people who are working on it today and Gaudi’s ideas that continue to be the bedrock of whatever rises to the sky. Having lived through the Civil War and the World Wars, where for many years not a single brick was added to the basilica, the work on the Sagarda was re-started many times overcoming political opposition and monetary limitations. The structure continues to slowly take shape even today. The film explores the basilica through its various quarters and building blocks. With interviews with artists, craftsmen working the stones, sculptors who meticulously refine every little speck of the national symbol of the Catalan people, the documentary brings to the fore the place this structure occupies in the history and the minds of the people, and not just physically. While the spirit of the building remains as true to Gaudi as possible, there is a school of thought among contemporary non-Catalonian’s architects and artists that suggests the building take a more contemporary role when completed. A few people interviewed spoke how the Sagrada should represent the realities of the times. Rather than being driven by the religion of its founder alone, it should be a universal place of worship and gathering for all. The ardent followers of Gaudi, particularly Catalonian artists, stand firm that the Sagrada is about the message of Christ, of brotherhood and peace and nothing can separate it from the original founding idea and its Christian identity. For an audience unfamiliar with this architectural masterpiece, that has been in the making for over a hundred years, the film is informative and emotional. It’s heartening and fulfilling to see how an artist’s dream from two centuries ago is being kept alive through sheer sweat and tears of craftsmen inspired by Gaudi’s work. Gaudi is said to have spent his last few months housed in the Sagrada, walking through the site and constantly reflecting and thinking about it, interacting, living with it. As one of the sculptor’s working on the Sagrada says, “Eternity is not a time forever; it is a moment when time stands still.” I am sure Gaudi experienced that eternity with the Sagrada Familia more than once. 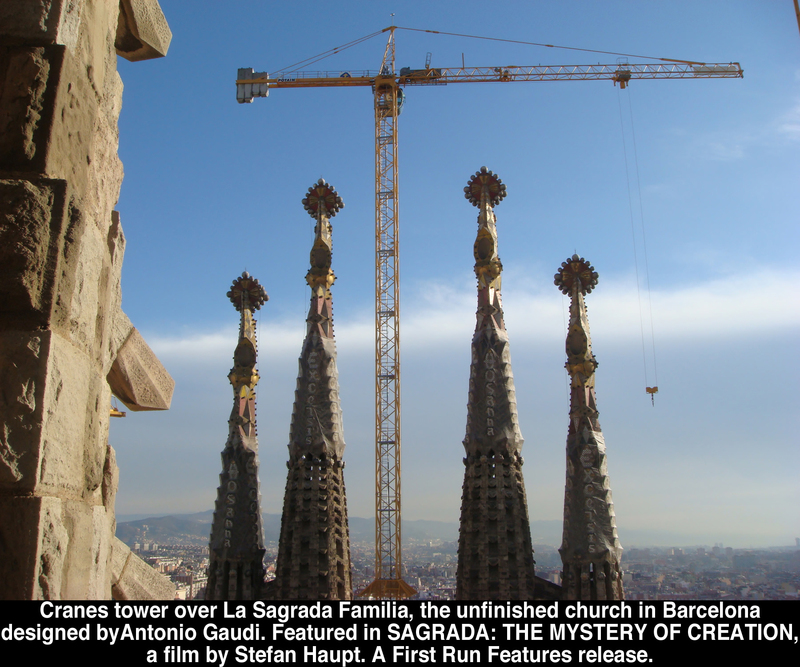 Sagrada: The Mystery of Creation is available from First Run Features now.